Oneplus team released the new OxygenOS 5.1.6 Update For OnePlus 6 phone. The new updates come with lots of the new features and some bug fixes. 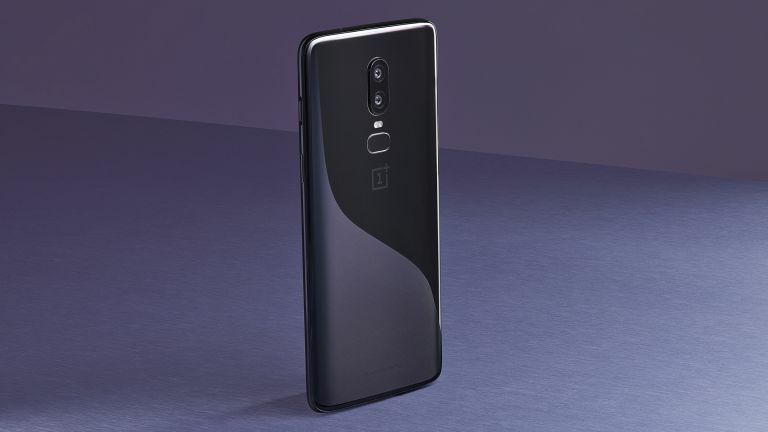 The one main feature that Oneplus 6 users are looking is Front Camera Portrait mode. Now, this new feature is added in this new Official OxygenOS 5.1.6 Update. Here we will show you how to Download OxygenOS 5.1.6 Update For OnePlus 6 phone. This method will work on both rooted Oneplus 6 and Non-Rooted Oneplus 6 phones. This is the official stock ROM for Oneplus 6 and not the Custom ROM. You can also use this rom to Unroot Oneplus 6 if you already rooted your phone. The latest OxygenOS update is packed with new features. Most of the users already received this update on their phone. And all of the happy with this new build. The new updates added the portrait mode for the front camera and give us a first look at the Light Bokeh effect that OnePlus talked about at the launch of the phone. Not only this the update come slots of other feature that we will discuss later. If you are the Oneplus 6 users and still waiting for the OxygenOS 5.1.6 OTA update. Then you can use our guide Download OxygenOS 5.1.6 Update For OnePlus 6 and install this update on your phone without losing data from the phone. This the one if the best and easiest way to apply the update on your Oneplus 6 phone. OxygenOS 5.1.6 build will start rolling out incrementally, with a small percentage of users receiving the update this week. If you don’t get the update then use this guide to install the same. This guide is only for the Oneplus 6 users and doesn’t apply this method on any other Oneplus phone. As we mentioned above this guide will work for both rooted and non-rooted users. In the download section, you will find the link of OxygenOS 5.1.6 Full ROM for TWRP users and OxygenOS 5.1.5 to OxygenOS 5.1.6 OTA zip file to apply the OTA update on non-rooted phones. There are two types of file for each ROM: FULL signed flashable zips and OTA incremental update zips. Full Signed flashable zips: These are recovery-flashable zips of the full ROM that won’t overwrite your data partition. They can be flashed via stock recovery or TWRP recovery of your phone. OTA incremental update zips: These are recovery-flashable zips that update your ROM to a newer updated version. They can be flashed via stock or TWRP recovery but will only work on non-rooted Oneplus 6 with no modifications to system files. We have provided two different methods to perform this update manually. One for the rooted users with TWRP recovery and other one is for non-rooted phone users. If you are the non rooted oneplus 6 users and running on the previous 5.1.5 then use the first method. If you have the rooted Oneplus 6 then use the second methods an flash the Full rom on your phone. So let’s get started and Download OxygenOS 5.1.6 Update For OnePlus 6. 1. Download the latest OxygenOS 5.1.6 the above-mentioned link and save it on your phone. Place the zip file outside every folder. 3. 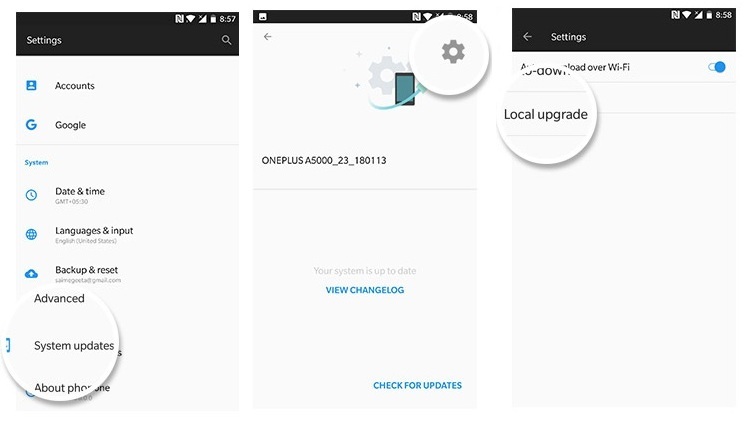 From here tap on the system updates -> top right corner icon -> local upgrade -> click on the OxygenOS zip file -> immediately upgrade. 4. Now your Oneplus 6 will flash the OxygenOS zip file. 5. And this process will take some time to install all the files on your Oneplus 6 phone. 6. Once done, Your phone will reboot and the first boot will take some time to make some changes to your phone’s system. That’s it. OxygenOS 5.1.3 is flashed successfully on your Oneplus 6 Phone. If you already unlocked the bootloader of Oneplus 6 and Rooted the Oneplus 6 with TWRP recovery. Then you have to follow this method and install the full ROM zip file with the help of TWRP recovery. 1. Save the OxygenOS 5.1.6 Full ROM zip file on your phone’s internal memory and remember the location of your file. 3. Now time to boot your phone in TWRP recovery mode. Switch off Your phone first and Hold the Volume Up + Power button. 4. Now Oneplus 6 will boot in TWRP recovery mode. 6. After that Tap on the Install Option and locate the ROM zip file and Swipe to Confirm Flash. 7. Now theOxygenOS 5.1.6 Full ROM will flash on your Oneplus 6 phone. Voila! Now you successfully updated your Oneplus 6 with the OxygenOS 5.1.6. Hope you are clear with the installation guide. If you have any queries please leave a comment below.